This means that Room 9’s Bottom Right door drops you into Room 5’s top door. 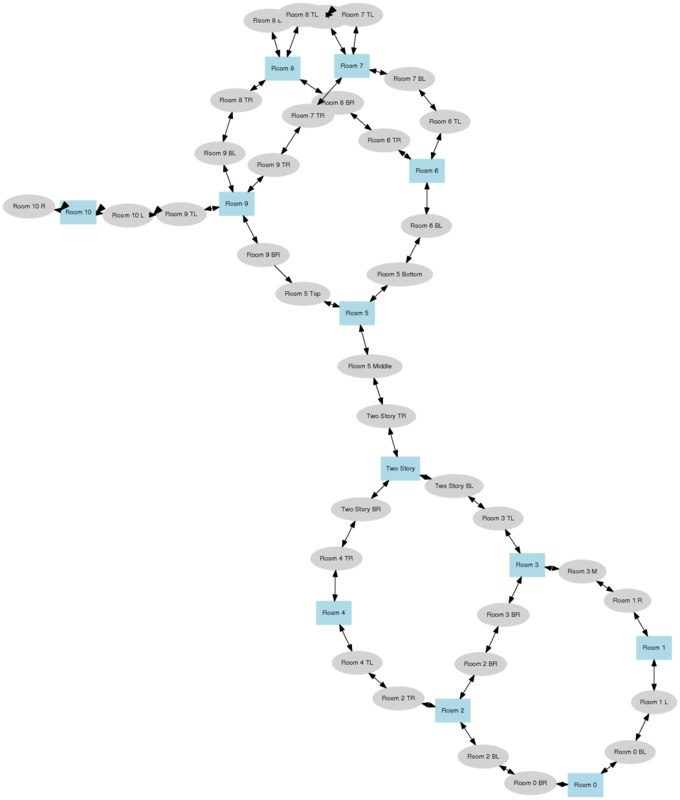 I inputed all the all of the connections, and let one of my favorite programs, graphviz do the rest! It could use some tweaking for the overlaps, but its pretty good as is if you ask me. It certainly gives you an insight into the developers thinking when creating the maze. This would certainly be very difficult to do on paper and have it come out clean. And if you have some suggestions to make the graph look even better, just make them! I watch the recent changes rss feed and I will see it.